Safe DNA Gel Stain (20,000x) is a new and safe fluorescent dye, used for agarose gel or polyacylamide gel staining to visualize DNA or RNA. 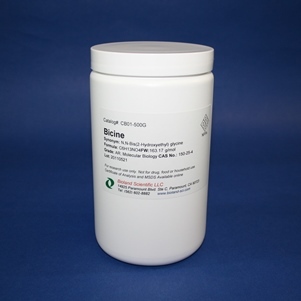 Safe DNA Gel Stain is a safe replacement of Ethium Bromide, a potent mutagen. Safe DNA Gel Stain showed negative results in Ames test, indicating that it's not carcinogenic, comparing with Ethium Bromide. 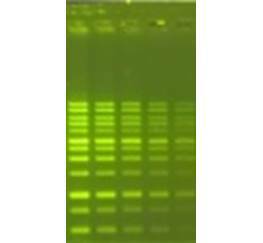 Safe DNA Gel Stain is used the same way as Ethium Bromide. It emits green fluorescence when bound to DNA and red fluorescence when bound to RNA when exposed to UV light. More importantly, it emits green fluorescence when exposed to safe LED light. It has two excitation maxima: 290nm and 490nm. Fluorescent DNA Loading Dye (6x) is used by adding to DNA samples directly, no need to add dye to the gel or running buffer.